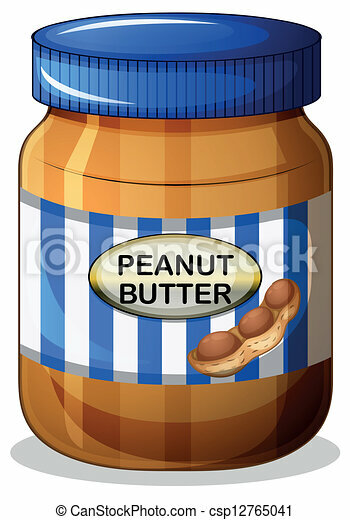 A jar of peanut butter. 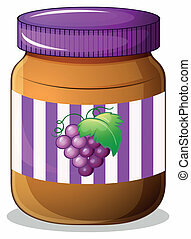 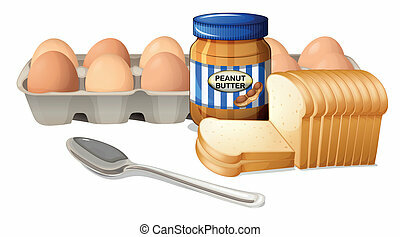 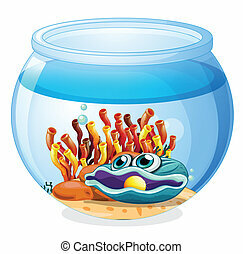 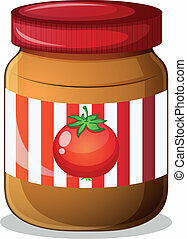 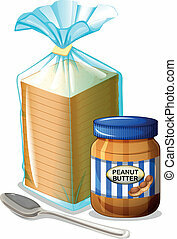 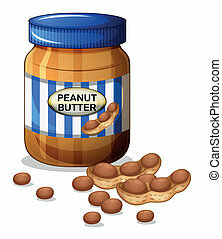 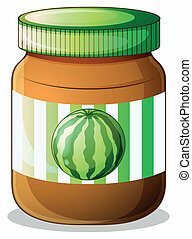 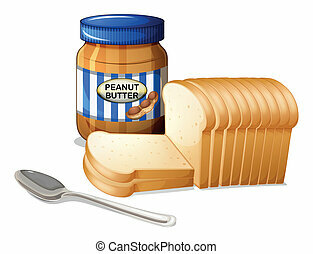 Illustration of a jar of peanut butter on a white background. 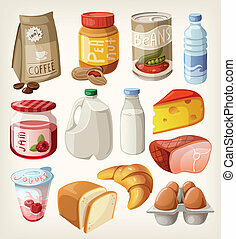 Collection of food and products that we buy or eat every day. 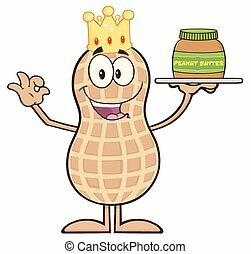 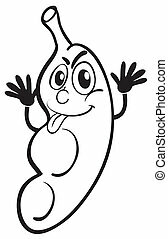 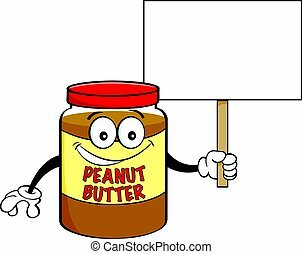 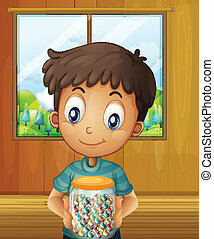 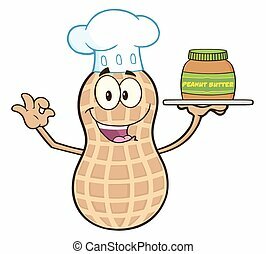 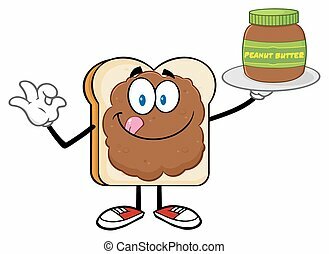 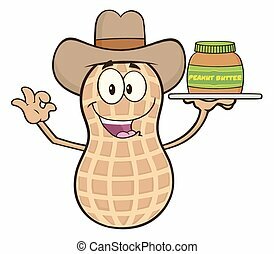 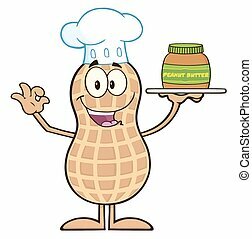 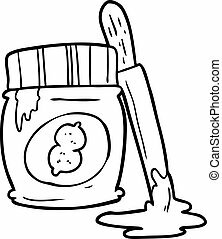 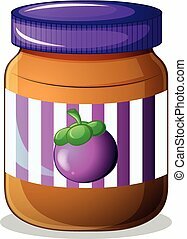 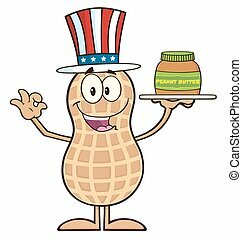 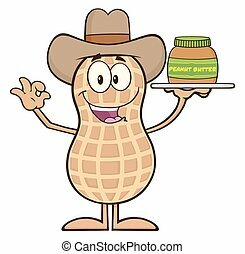 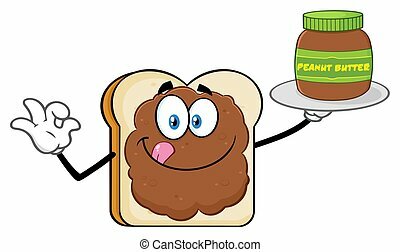 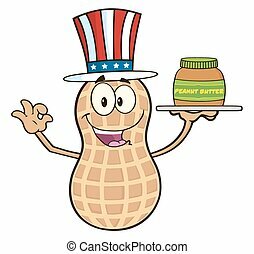 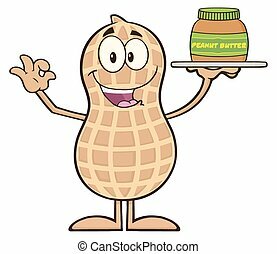 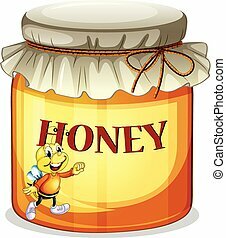 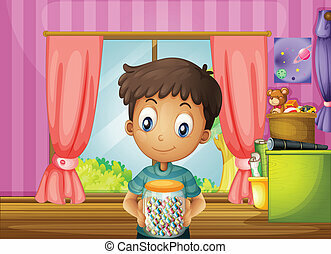 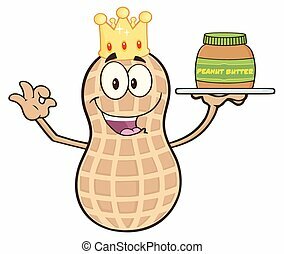 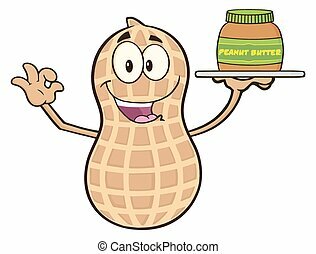 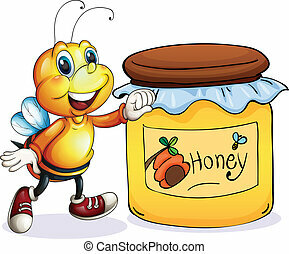 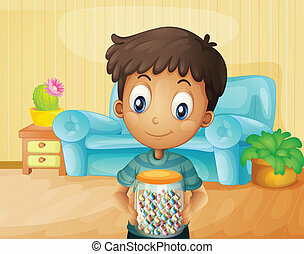 Cartoon illustration of a jar of peanut butter holding a sign.